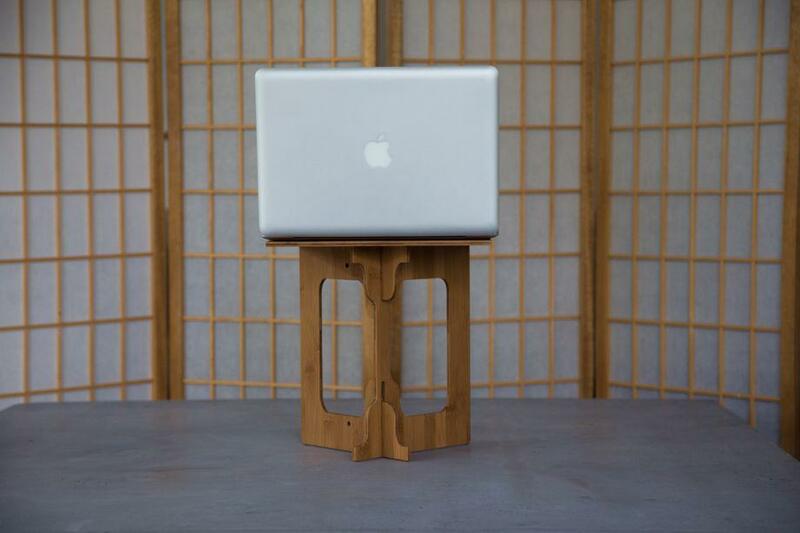 StandStand is a portable standing desk designed for roving laptop users on a budget. 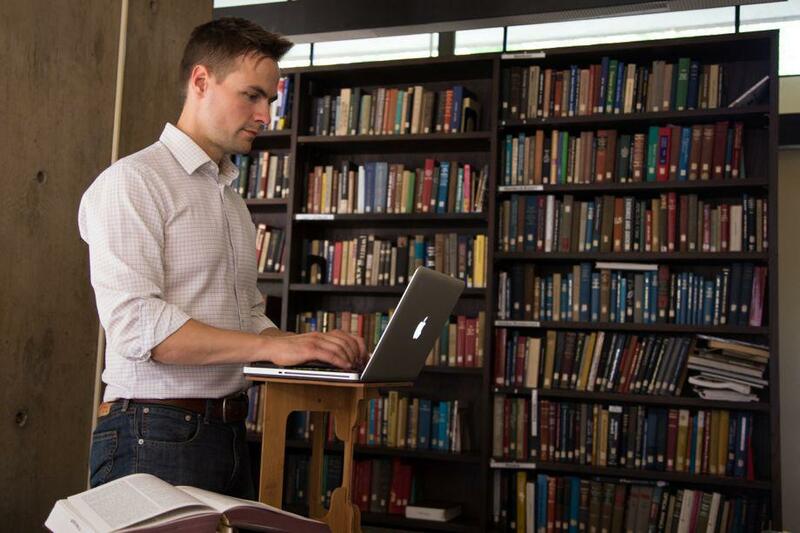 The StandStand weighs less than 2 pounds and collapses into the size of a notebook. The well-publicized fact that sitting all day is a death trap has created a booming market for standing desks. There are already infinite iterations of the modern standing desk: cobbled together from Ikea parts, gorgeously adjustable but prohibitively expensive, attached to a treadmill or a human hamster wheel. But when Luke Leafgren, who teaches Arabic at Harvard, was thinking about investing in a standing desk, he realized that what he really wanted was something that would be as portable and lightweight as his laptop—something he could use at home, in the office, at the library, in a café, or anywhere else he wanted to get online. So he decided to invent one. StandStand inventor Luke Leafgren at the library. 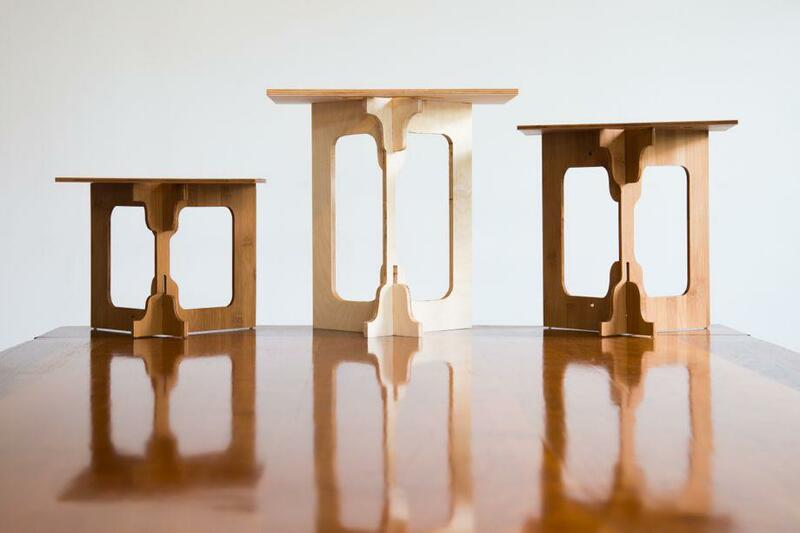 The portable standing desk isn’t a wholly new invention, but Leafgren’s StandStand is good-looking, affordable (starting at $50), light (2 pounds), and stable. And it’s already more than doubled its Kickstarter crowdfunding goal. 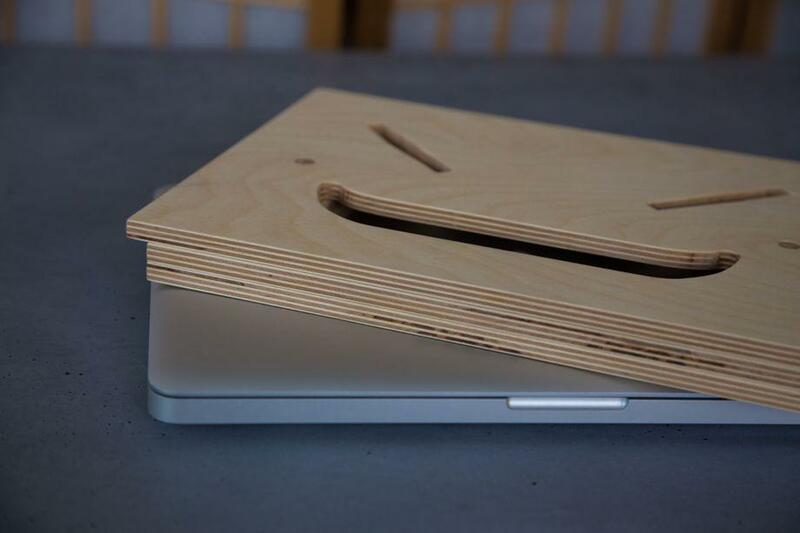 Made of three slim pieces of precision-cut Baltic birch plywood or bamboo that slot together quickly and intuitively, StandStand collapses to the size of a laptop so it can fit in your work bag. It comes in three sizes according to your height. It can also be used with a detached keyboard when you’re sitting to elevate your laptop screen to a more ergonomic height. StandStand is easy to disassemble. StandStand comes in three sizes according to your height. Leafgren sent a sample to Slate’s art director, who was struck by the clever packaging. 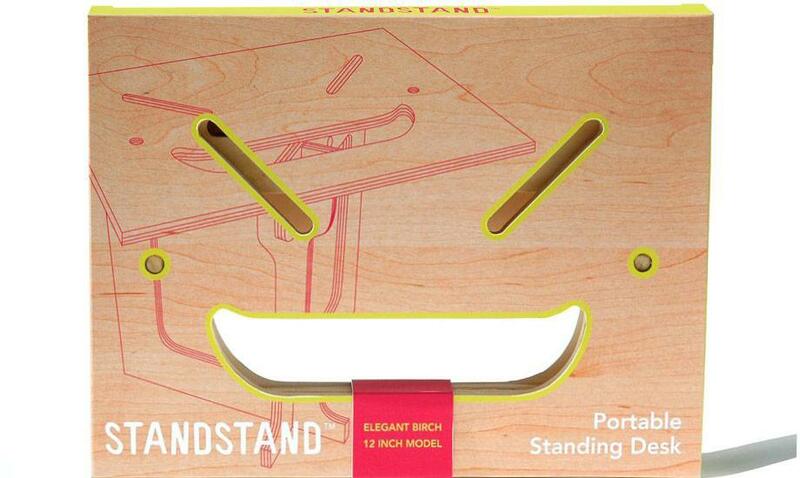 That dimpled smiley face that appears when the StandStand’s three moving parts are stacked, it turns out, was somewhat of a happy accident that came about when Leafgren added a handle to the design. Check out the video below to watch the StandStand in action, or read more about it on Kickstarter.